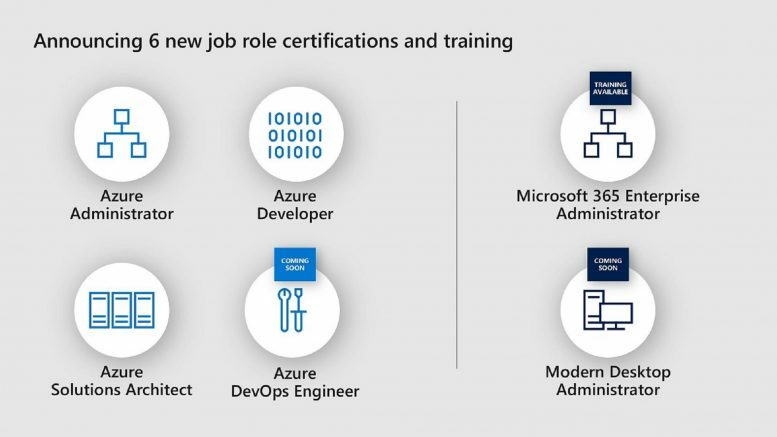 Today at Ignite, Microsoft announced six new job role–based certifications with associated training to verify the skills of the next wave of digital leaders. 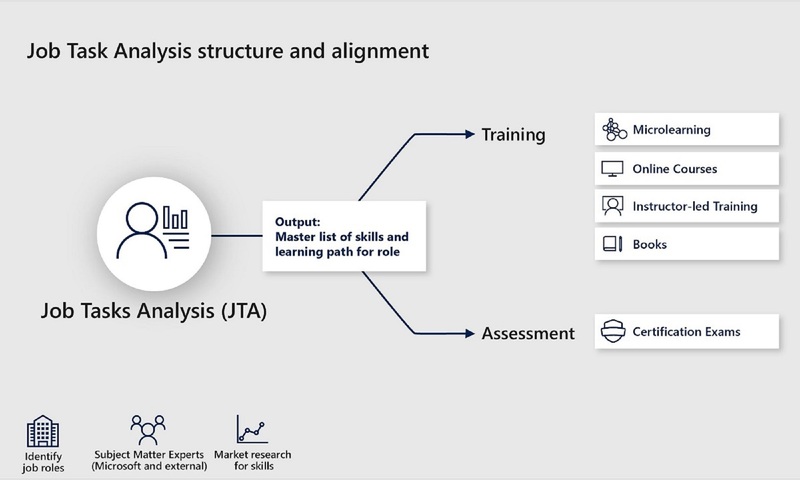 The new role-based certifications, training, microlearning, and books produced by Worldwide Learning (WWL) at Microsoft will all leverage the same source of content that was defined through the job task analysis for an aligned family of connected Learning products. Build practical job skills with online, self-paced courses that can also provide you a clear learning path to job-role certification. Flexible, role-based learning paths, shareable achievements, and partnerships with industry-leading partners, such as LinkedIn Learning, Pluralsight, and many others. Sharpen your technical skills with in-depth training solutions offered by Learning Partners. Learn from the experts, and get deep technical training take your skills to the next level and to help you prepare for certification. 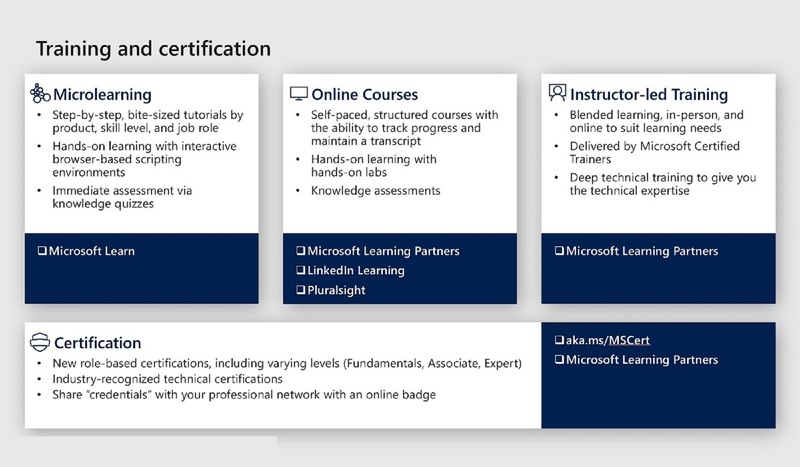 Microsoft Learning Partners offer training solutions to suit your learning needs, including blended learning, in-person training, and online courses. 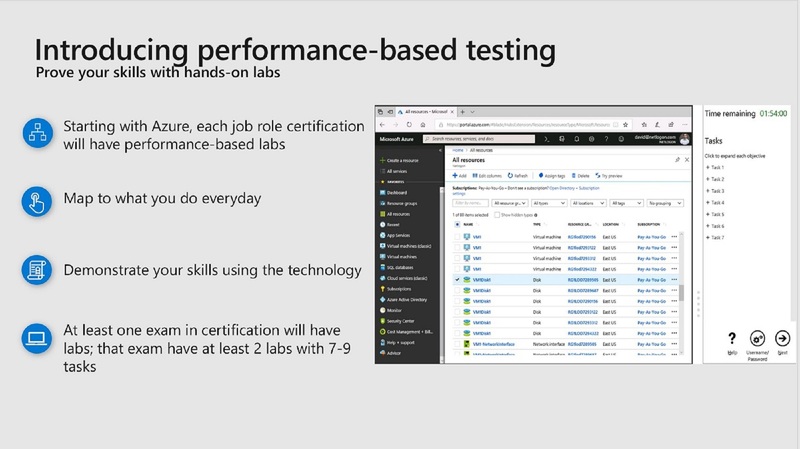 Starting with the Azure certifications, each job role certification will have performance-based labs that map to what you do every day. Performance-based testing gives you the opportunity to demonstrate your skills by completing tasks while in the technology. Today, this means completing tasks in a graded lab; however, Microsoft is constantly innovating to ensure that we assess your skills and abilities in ways that align with how you actually get your work done. Q. How will the new certifications be named? Will they still be MCSA, MCSD, and MCSE? A. Because Microsoft is making a significant shift in their certification program, they are moving away from the MCSA, MCSE, and MCSD acronyms. The certifications will clearly state that you are “Microsoft Certified” in the job role, and they will show the level at which the certification sits in the three-level framework. (fundamentals, associate, or expert). exams—MCSA, MCSD, MCSE, other, or none? certification. To reflect the evolution of their program, Microsoft is moving away from the MCSA, MCSE, and MCSD acronyms. Q. What happens to the MCSA, MCSD, and MCSE certifications that I already have? how valuable that certification is to your manager and organization and to the work that you do. Q. The MCSA, MCSD, MCSE certifications are still available to earn. What will happen to these? available. 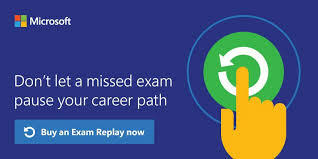 As Microsoft retires the exams that are part of those certification paths, you will no longer be able to earn those certifications. 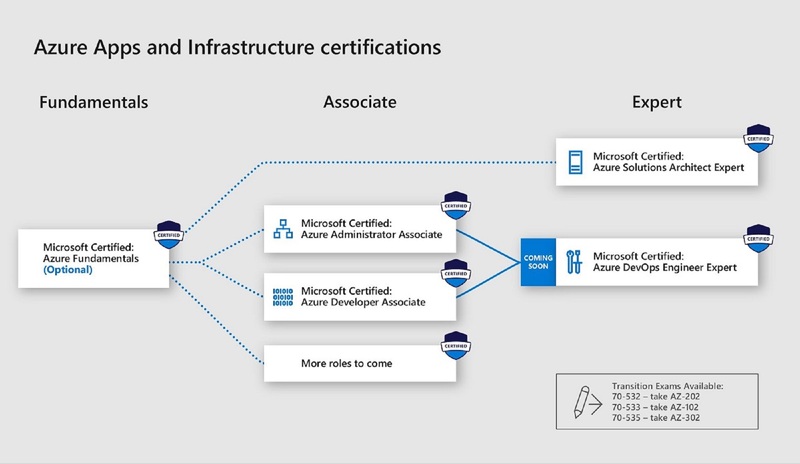 Be the first to comment on "New Microsoft Certifications Announced"